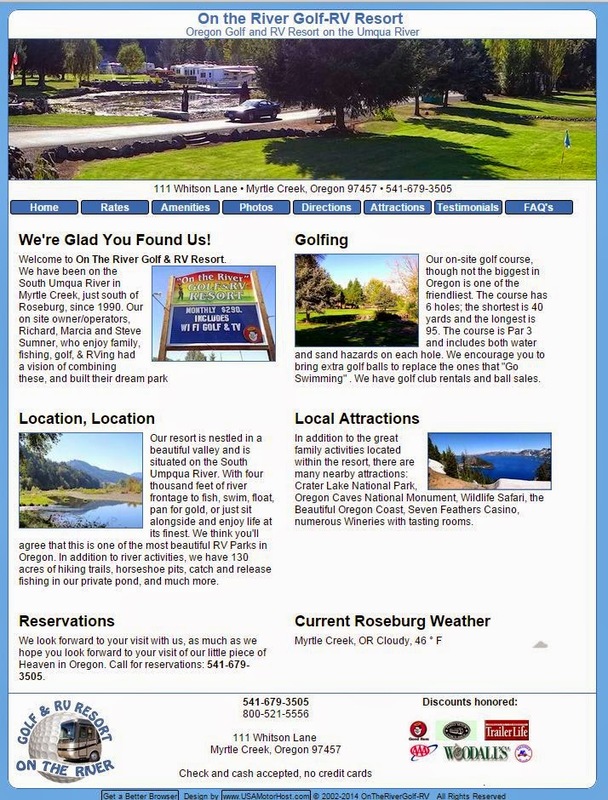 We just published the new web site for On the River Golf and RV. The previous site's home page looked like this. Using this site as an example, here are 10 Reasons to Update your Web Site. Reason #1: Your information is probably out of date. 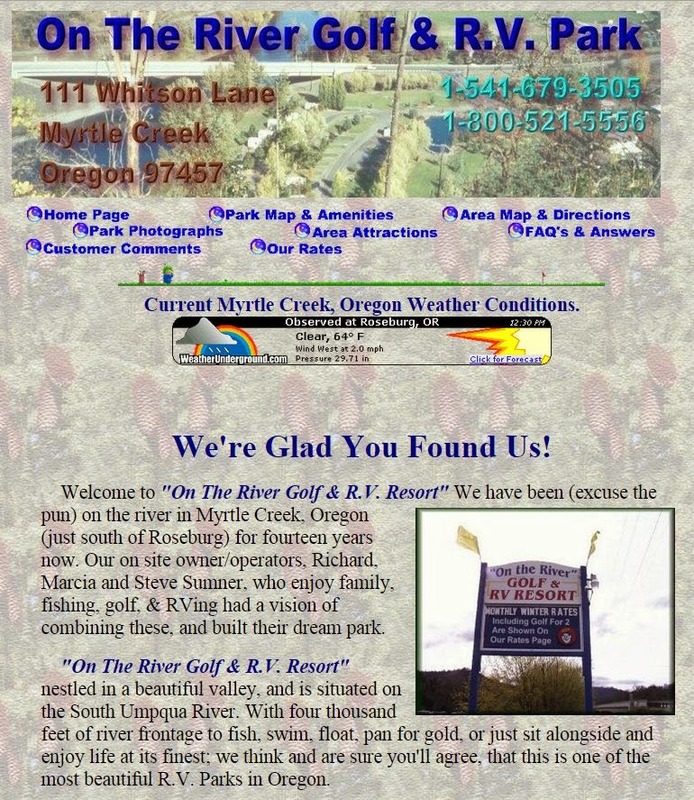 As we converted this site we corrected old information, corrected grammer and eliminated unneeded text. Reason #2: Today's photo can be larger and higher definition. Nothing says your site is old more than a small grainy photo. Reason #3: With modern web languages even larger photos can load faster. With our hand-coded pages, the time to load a page will be faster than your older site. Reason #4: Database driven pages let you create your own content. All of our sites include user-controlled database tables. Any information that is updated routinely can be controlled by you. Of course we'll still make any changes as requested. Reason #5: Your site will be tested with all four major browsers: Chrome, Firefox, Safari and InternetExplorer. You'll know that all computer viewers will have a good experience. Reason #6: With modern web techniques your pages can be modified quickly. All our sites use "divisions" not rigid "tables". This means that any information on the page can be added, changed, deleted or moved to a new location with ease. Reason #7: If you need a mobile version of your site, the data from your site can be reformatted to fit a tablet or phone, without having to duplicate the data. Therefore, it will be accurate and take less time and money to make changes. Reason #8: Google Analytics are included in all site conversions. Now you can see how many guests come to your site, from where, what pages they view and much more. Reason #9: As your site is converted, we apply the latest SEO (Search Engine Optimization) techniques. Your site will quickly move from lower pages toward page one and perhaps position one. Reason #10: Every site we create is unique; no templates or copying other sites. Your site will stand out as one-of-a-kind, beautiful to view with consumer information where it such be and easy navigation to other pages. You can see more site conversions at UsaMotorHost Porfolio.